Our Agency maintains strategic alliances with many fine organizations. While two alliances have developed into full business partnerships, the first one listed below is a fully owned subsidiary. For Americans conducting business throughout Asia, all of Latin America, and especially the Caribbean Islands, we set the standard for evidence. “Foreign Investigations conducted for evidence admissible in American Courts” is key to the success of this Division of Scott & Associates nvestigations, Inc. The "Scott Investigative Group" and "Caribe PSG" have become America's preferred overseas Agencies for surveillances, undercover operations, records checks, and general investigations, with fully staffed and licensed offices in AMERICA, and the CARIBBEAN ISLANDS. Now it is increasingly important for businesses to know with whom they are working. To be relevant and admissible in American Courts, investigations must be conducted in a manner consistent with American evidence standards, and that evidence must be available in this country whenever it is needed through formal reports, documented evidence, and reliable testimony. 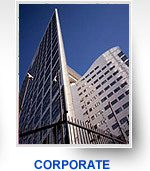 There have been many changes since September 11, 2001, and It has become especially difficult for anyone to guarantee that a foreign investigator will be allowed to enter the USA on a specific date for court, so "Scott Investigative Group" & "Caribe PSG" call upon its cadre of Investigators “in country” when advisable, yet when necessary, we utilize Investigators from our USA office to travel directly to the scene of the case and “bring the evidence back home” for presentation on demand. NOTE: Scott Investigative Group utilizes its Latin assets at Caribe Protective Services Group to perform services outside the USA. Call for a free, confidential discussion. West Shield Adolescent Services, Inc. pioneered the technique of utilizing a non-violent, non-physical approach to transporting "troubled" adolescents from home or hospital to programs and facilities throughout the United States and across the world. WSAS personnel are also experienced and licensed to locate runaways and provide crisis intervention. All services are based on "Non-Violent Crisis Intervention" techniques, which emphasize communication to resolve conflict. Compassion and patience are used in our work with adolescents who are at risk of hurting themselves or others. 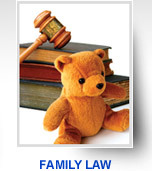 WSAS has assisted more than 7,000 families in over 25 years in the industry. We are available 24 hours a day, 7 days a week to help families in need. 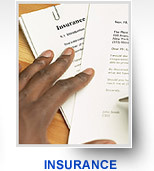 Another key factor in relying on West Shield is our special multi-million dollar liability insurance coverage. This policy is specifically written to cover our transportation of adolescents to and from the programs. It not only provides assurance to the families we work with, but also to the consultants and programs that refer families to West Shield. Mr. Scott is a full Partner in the Eastern USA Division of West Shield Adolescent Services, Inc.